Abuja – The crisis rocking the All Progressives Congress (APC), following the election of presiding officers of the two chambers of the National Assembly worsens on Sunday as former Vice President Atiku Abubakar, a chieftain of the party declared that he is determined to fight with all assets at his disposal to support President Muhammadu Buhari to succeed. This is even as he exonerated himself from the purported hijack of the party and the National Assembly towards 2019. 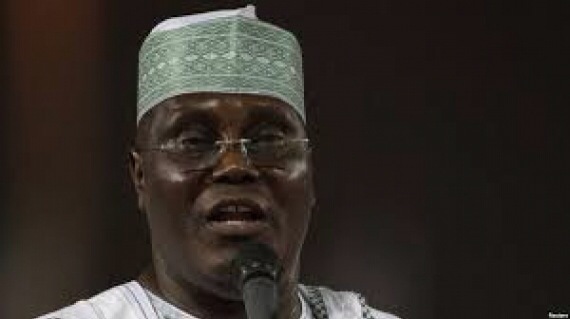 Atiku specifically denounced the increasing determination of some people to draw a wedge between President Buhari and himself, saying that it has become crystal clear even to the blind that the motives of the hatchet men who are desperate to take every available newspaper space is to insult, vilify and calumniate him. The former Vice President said no one should make mistake about the fact that he holds Buhari in the highest esteem, and would always remain loyal to him, and support him in every endeavour to succeed as president and restated his unalloyed commitment to the Buhari administration as well as pledged to back this commitment with all of the assets at his disposal. Atiku described the insinuation as the figment of the imagination of those promoting it, saying that the recent outcomes of the National Assembly elections are products of interplay of politics which is itself in constant motion and thus urged Nigerians to ignore all such insinuation. He stressed that it is dangerous for any individual or group in the ranks of the ruling party to constitute themselves into an opposition even before the constitution and take off President Muhammadu Buhari’s government. Atiku in a statement issued by his Media office in Abuja, while acknowledging that it is legitimate and desireable for individuals or groups to seek to pursue their interest, it must be done with the benefit of sustaining our democracy and promoting equity, fair play and justice in mind. The statement which was signed by Paul Ibe against the backdrop of developments in the polity, notes that the development are interplay of forces and interests that are dynamic, but must not be promoted to the point of being a threat to our democracy and the new administration. According to him; “Anything to the contrary may jeopardise our hard-earned democracy and constitute a clog in the wheel of the new administration. Suffice it to say that the new administration should be allowed a smooth take off and be allowed the atmosphere to deliver. On this, I stand with President Buhari. Atiku therefore urged members of the APC to emulate the unity of all the presidential contestants after the party’s Lagos primaries and support the President to form his government and get to work. “Not only did Atiku Abubakar congratulate Buhari after his emergence as the presidential candidate of the APC at the party’s national convention in Lagos, he also handed over his best assets to the Buhari Presidential Campaign. The former Vice President enthusiastically handled the diplomatic assignment of seeking endorsement for Dr. Adesina as the President of the African Development Bank on behalf of President Buhari and would be available for any other assignments as the President pleases.